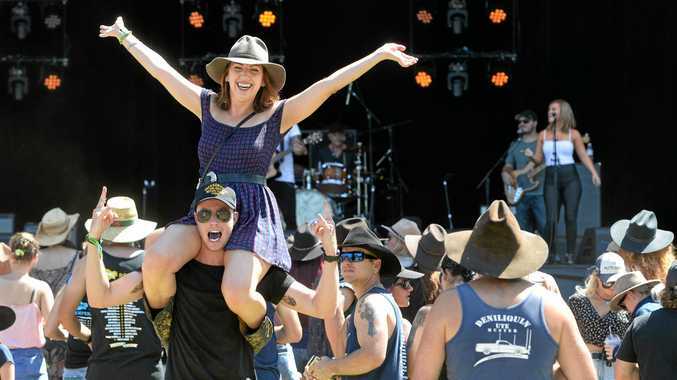 UPDATE 10.40AM: IT took less than two hours for keen CMC Rocks fans to snap up 21,000 tickets to the four-day festival in March 2019. Fans got in quickly, after this year's event sold out in record time with enthusiastic fans snapping up 18,000 tickets within minutes. An extra 3,000 tickets were released for the 2019 event. It was the second year Australia's premiere country and roots music event, CMC Rocks QLD, completely sold out on the first day of on sale. Country star Cam singing at CMC Rocks: Cam sings at the CMC Rocks Festival at Willowbank on Saturday. Music fans snapped up 21,000 weekend tickets this morning, which will make for a record attendance of over 60,000 people across the three-day event. Ticket holders have secured their chance to experience the hottest country music acts from Australia and around the world across four days, in a unique festival setting in March 2019. 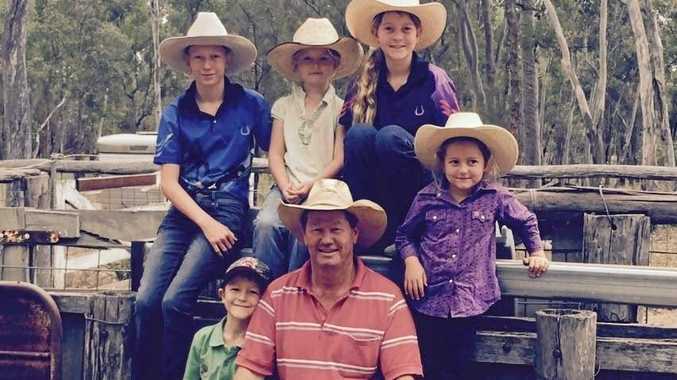 Responding to overwhelming demand, festival organisers have once again increased capacity for the 2019 event, to be headlined by diamond-selling global superstars Florida Georgia Line on their return CMC Rocks visit. Thomas Rhett and returning favourite Luke Combs, along with local hit-makers Kasey Chambers, Troy Cassar-Daley and a phenomenal line-up of the very best artists the genre has to offer will hit the CMC Rocks stage between Thursday 14th and Sunday 17th March 2019. "We're constantly blown away by how passionate and loyal CMC Rocks fans are", festival director Jeremy Dylan said. "Whether you're joining us for the first time or you've been with the festival since day one, we can't wait to welcome you to Ipswich next March as part of our biggest sold out crowd to date. It's going to be one hell of a weekend." Chugg Entertainment Executive Chairman Michael Chugg said it was an 'incredible result'. "Selling out CMC Rocks on the morning of on-sale, for the second year in row is a testament to the commitment and passion from the country music fans in Australia, we couldn't be prouder to be delivering the premiere Country Music festival to some of the loudest and proudest music fans in the country," he said. "It's a bittersweet moment, to celebrate without our long-time partner, Rob Potts but we know he'll be loving every minute of this, this one's for you, Pottso!" CMC Rocks has over the years hosted world-class sets from international music icons like Tim McGraw, Toby Keith and Alan Jackson to Lady Antebellum, Faith Hill, Taylor Swift, Dixie Chicks and Little Big Town. Complemented each year by an array of Australia's most prolific stars and exciting up-and-comers, including Lee Kernaghan, Travis Collins, The McClymonts, Morgan Evans, Busby Marou and more, CMC Rocks never fails to deliver the very best of country music to local music fans. The biggest event on the Australian country music calendar, in 2018, Rocks played host to a record-breaking 20,000 music lovers, who descended on Willowbank to catch their favourite local and international music idols live in action; from Kelsea Ballerini on her second Australian visit to Darius Rucker, Busby Marou, Travis Collins and superstar headliner Luke Bryan. The 2019 event is expected to be similar, as 21,000 music fans descend on Willowbank to take in four jam-packed days of live music action and lots more. INITIAL: TICKETS to CMC Rocks QLD 2019 are on sale this morning. Fans are expected to get in quickly, after this year's event sold out in record time with enthusiastic fans snapping up 18,000 tickets within minutes. Thousands more joined a waiting list. Organisers are urging country music fans to be prepared when tickets go on sale 9am AEST via Moshtix. The 2019 CMC Rocks festival will take place at Willowbank from Thursday, March 14 to Sunday, March 17.